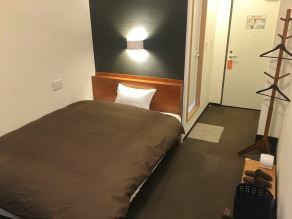 5,500 yen/night Reserve The newly built rooms help to use the space more efficiently and make your stay with us much more comfortable and functional. 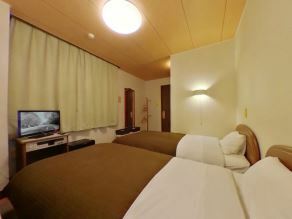 9,950 yen/night Reserve Up to two adults can sleep at the same time in full comfort with our premium Sealy mattresses. 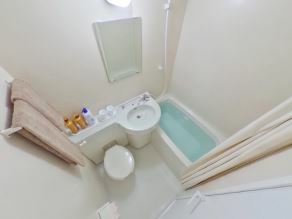 Premier Single, Double, Triple Reserve All rooms have a private bathroom equipped with a Panasonic color changing LED to help you relax when you take a bath. 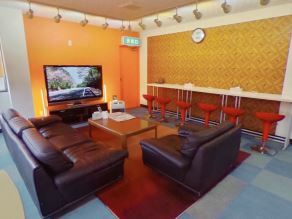 4,000 yen/night Reserve All rooms have been newly renovated. 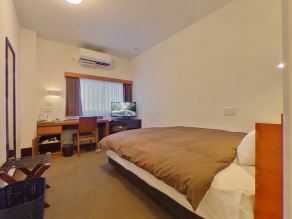 6,500 yen/night Reserve All rooms have been newly renovated. 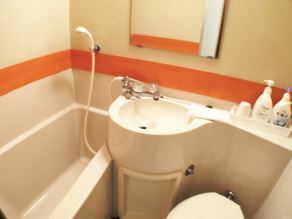 Single, Twin Reserve All rooms have a private bathroom equipped with a dimmer to be easy on your eyes for when you go in late at night. 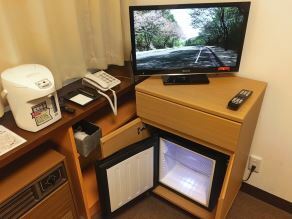 Single, Twin Reserve HD TV, Refrigerator, Hot Water Kettle, Phone, Hair Dryer, Notepad. 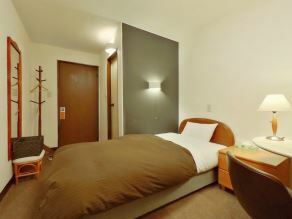 High speed Internet access (wireless and wired) is available in all rooms.. 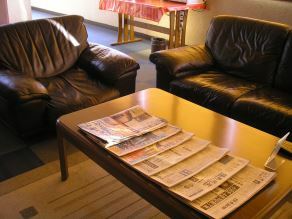 Lobby Reserve The lobby is spacious and welcoming with a 60" Sharp Aquos HD TV, large sofas, complimentary newspapers and complimentary coffee. 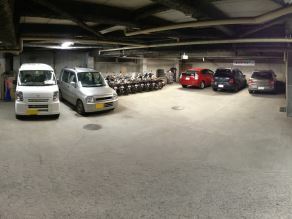 Underground Parking Reserve We have an underground parking, a regular parking and a large size vehicles parking lot for your convenience. 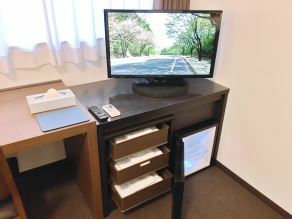 Newspapers are available in Japanese only. 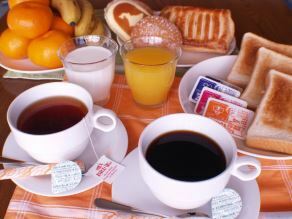 During a press holiday newspapers will not be delivered.